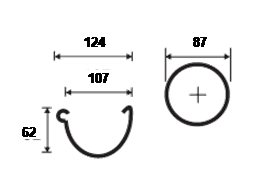 100mm is our smallest steel system, which at 107mm internal is the equivalent in size to a standard half round or square PVC system, but with a slightly deeper profile. 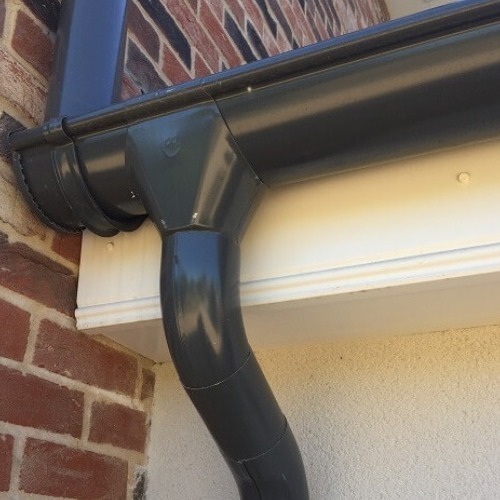 This is available in either our Galvanised or our Black painted finish. 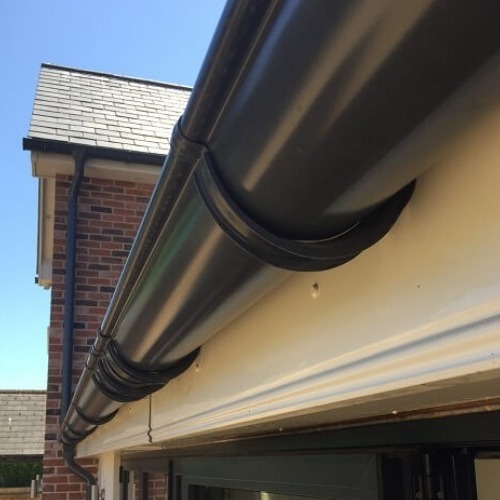 Our 100mm Galvanised Steel Gutter is popular with those looking for an eye-catching option on a small to average sized domestic property. With an inside dimension of 107mm the capacity is similar to PVC Half Round, although the design is very different. 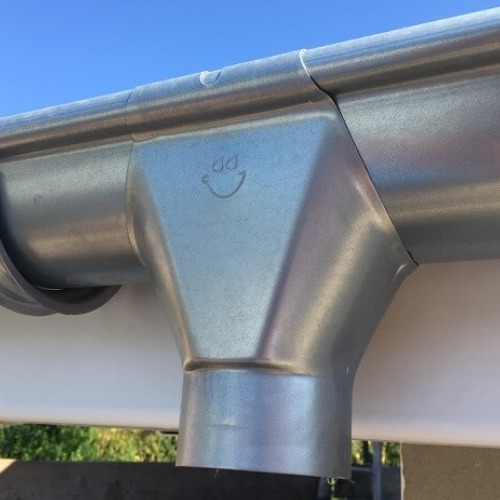 This gutter connects to the 87mm downpipe system.